The robots that will swim Europa’s seas are already at work in Alaska. In the coming decades, we could send a manned mission to an asteroid, put a person on Mars, or construct a space station and telescope on the moon. But the most revolutionary discoveries could come from autonomous robots exploring underground oceans, hundreds of millions of miles from Earth. It is in these oceans that NASA’s ASTEP (Astrobiology Science and Technology for Exploring Planets) program hopes to discover extraterrestrial life. Jupiter’s moon Europa is the primary target, although other celestial bodies in our solar system, such as Jupiter’s moon Ganymede and Saturn’s moons Enceladus and Titan, could also harbor life. While Russian billionaire and tech entrepreneur Yuri Milner scans the galaxy and beyond for intelligent life, Bill Stone, veteran diver, explorer, and founder of Stone Aerospace, will be leading the search for microbial life in our very solar system. And the methods he is developing on Earth could easily be replicated millions of miles away. Stone has been working on NASA-funded autonomous underwater vehicles (AUVs) for over a decade, beginning with the DEPTHX (DEep Phreatic THermal eXplorer) research mission to explore the hydrothermal sinkhole Zacatón in the Gulf of Mexico. The microbe detection and collection systems on DEPTHX successfully discovered four new phyla of bacteria, laying the foundation for a future AUV mission to Europa. In the past months, Stone led a team on the Matanuska glacier in Alaska to test the “cryobot” VALKYRIE (Very deep Autonomous Laser-powered Kilowatt-class Yo-yoing Robotic Ice Explorer). Think of the cryobot as a very advanced cargo van— it’s meant to tunnel through surface ice and deliver an AUV to subterranean water systems below. Next on the agenda: head to Antarctica to test ARTEMIS (Autonomous Rover/airborne-radar Transects of the Environment beneath the McMurdo Ice Shelf), the fourth AUV constructed by Stone Aerospace. A prep team will reach Antarctica on August 22 to set up a lab on the ice, while the main team will arrive at the end of September with ARTEMIS. “A lot of things have happened in the last five years to make a subsurface ocean mission to Europa far more feasible than anybody at NASA would have believed just a few years ago,” says Stone. But there are still many pieces to put together. 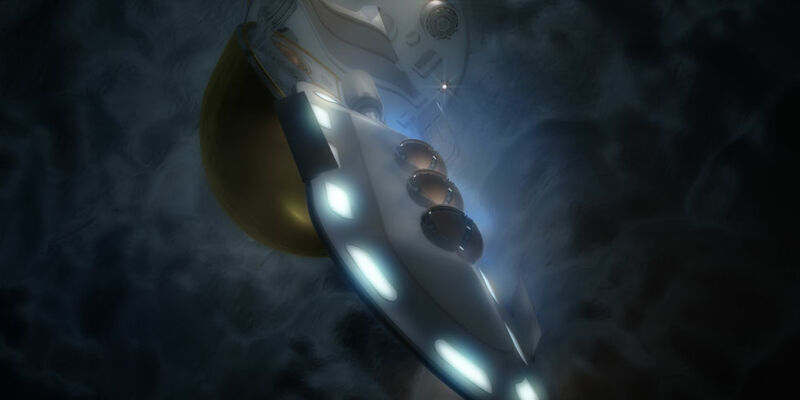 A successful exploration mission of Europa’s subsurface oceans would require three main components: a cryobot transport vehicle to tunnel through the surface ice (akin to VALKYRIE), an AUV capable of independently exploring a vast underground water system (similar to ARTEMIS), and multiple “marsupial robots,” which are small, disposable AUVs designed to collect samples from hazardous areas and bring them back to the main AUV. Problematic areas could include “black smoker” vents—hydrothermal vents that emit particles of iron sulfide—or layers of water with drastically different chemical makeups known as “chemoclines.” Once the main AUV discovers one of these “high-energy zones,” it will release a marsupial bot to collect samples. Stone Aerospace is working to bring all of these mechanisms together in an overarching project called SPINDLE (Sub-glacial Polar Ice Navigation, Descent, and Lake Exploration). But even with all aspects of the craft tested and ready to go—the cryobot, the planet-class AUV, and the sample-collecting AUVs—there is still the challenge of powering all that equipment. NASA generally uses solar panels to power spacecraft, but Europa is too far away from the sun, and this rig will require too much energy for solar power to be feasible. A radioisotope thermoelectric generator (RTG) can be used when solar energy will not suffice. RTGs are typically filled with plutonium-238 for its high alpha radiation, which produces heat that can be converted into electrical energy, and low beta and gamma radiation, which can be more penetrating and dangerous. The problem is, NASA plans to use virtually all of its available plutonium-238 for the 2020 rover to Mars, a duplicate of the Curiosity rover. Even with a large RTG to power the lander, the cryobot will require an even greater power source, a nuclear reactor, to tunnel through 10 to 20 kilometers of ice. Running a nuclear reactor of that size for just a few hours would produce enough energy to power a single-family home for a month. Although a portable fission reactor this powerful has not been constructed, Stone Aerospace is working with the Center for Space Nuclear Research (CSNR) on design concepts. Before an AUV can be sent to explore extraterrestrial subsurface oceans, NASA’s planned Europa Mission will enter orbit around Jupiter and perform several close flybys of the Jovian moon. The goal of the mission is to further study Europa’s ocean system and determine whether the moon could harbor life. Scheduled for launch in 2025, the Europa Mission could also scout out a landing site for a future penetrator probe, measure the amount of ice a future cryobot will need to tunnel through, and thereby determine how much power will be required. But Stone called the 2025 launch date for the Europa flyby mission, “conservative,” and he is more optimistic about a timeframe for exploring Europa’s subterranean oceans.